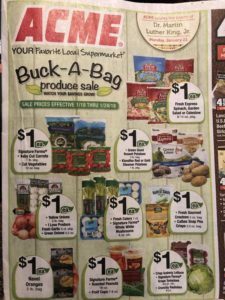 Acme: Buck-A-Bag Produce Sale Thru 1/24! This popular deal is back again. 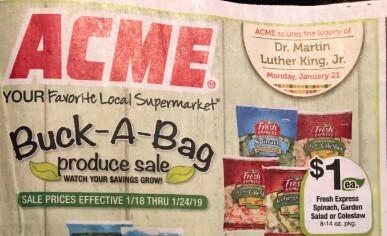 Acme’s Buck-A-Bag Produce sale is running this week thru 1/24, this is always a great offer and we can grab fresh produce for just a Buck-A-Bag, great deal!